Since 1976, the personal injury lawyers at Krivitzky, Springer & Feldman have offered knowledgeable legal guidance, prompt and thorough investigation, and dedicated representation to clients who suffered personal injury in bus accidents in Hudson County and throughout New Jersey. A school bus, commercial bus, or commuter jitney bus collides with another vehicle or is struck by another vehicle. A passenger trying to get to a seat is caused to fall when the bus driver pulls away. A passenger slips and falls on ice and snow at a bus stop in winter. A bus strikes a telephone pole, a brick wall or a building. A passenger, pedestrian or motorist is injured due to the bus driver’s negligence or improper bus maintenance. A bus driver or aide is injured in the course of employment and is entitled to Worker’s Compensation benefits, regardless of fault. 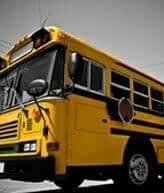 We have successfully represented clients injured on buses operated by Academy, Lakeland, Coach USA, Red & Tan, DeCamp, Bergen Avenue Bus, New Jersey Transit, and many others, including numerous jitney or small commuter buses such as Spanish Transportation, Pyramid Express, JT Transportation and Sphinx Express. Because every bus accident case is different, the best advice can be provided if you call us at 201-798-2711201-798-2711. You will speak with an experienced accident and personal injury attorney at no cost and no obligation to you. We can answer many questions right on the phone. You may also schedule a free in-person consultation at your convenience, either at our offices, your home or the hospital. If you can’t come to us, we will gladly come to you. Some buses must provide insurance for medical treatment of passengers; others do not provide this coverage. Our firm makes sure your medical bills are properly submitted to the correct insurance company. If you hire us, we handle all the necessary paperwork for you, and help get you on the road to physical and economic recovery. See our FAQ page for answers to some common questions. Depending on whether your accident involved a commercial bus or a government vehicle (such as many school and city buses), you may have only a short amount of time in which to file a claim. Even if you are not certain whether a bus driver or bus company is legally responsible for your accident and injury, you should protect your rights by consulting an experienced attorney. At the New Jersey law firm of Krivitzky, Springer & Feldman, consultation with a member of our experienced personal injury team is always completely free. We are happy to answer your questions, even if it turns out you do not have a case. What is important is that you get the accurate information you need and that your rights are protected. Contact our lawyers today to see if you have a case, or to answer any questions you may have about a New Jersey bus injury. Krivitzky, Springer & Feldman accepts bus accident and other motor vehicle accident cases throughout Northern New Jersey, including those on the New Jersey Turnpike or Garden State Parkway, Route 1, Route 3, Route 4, Route 9, Route 17, Route 46, Route 78, Route 80, Route 95, Route 280 and Route 287, or in the Lincoln Tunnel, Holland Tunnel or George Washington Bridge.